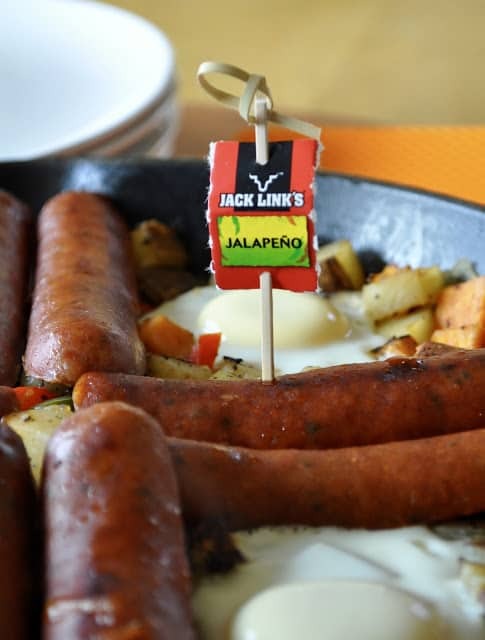 The other day I was driving home thinking about making a breakfast skillet for dinner, one of my favorite meals by the way, and I had a brainstorm for a spicy wild skillet featuring these new Jack Link’s Wild Side Sausages I’d picked up at Walmart. Tell me I’m not alone when I say I was driving and thinking about food, anyone? Ok whew! not alone. So anyway I thought I’d make a spicy skillet for dinner with these bold Jack Link’s Wild Side Jalapeño Sausages I’d picked up, with lots of spice and heat. 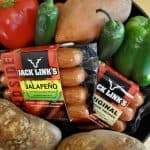 You see not only is the flavor of these sausages loud and proud, but they don’t have MSG, they’re gluten free, they have no artificial colors or flavors, they’re high in protein and the price is astonishingly good too! 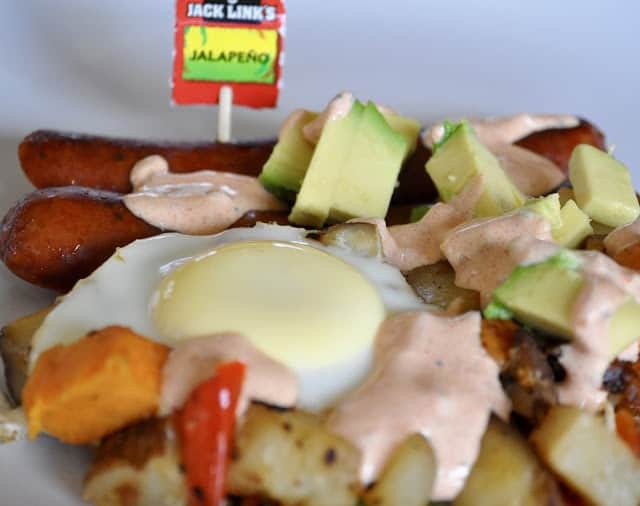 So as I drove I was plotting, hmmm Jack Link’s Wild Side Jalapeño Sausages, jalapeños IN the skillet with the potatoes and onions, a creamy chipotle sauce on top, and some avocado to cool to all down. 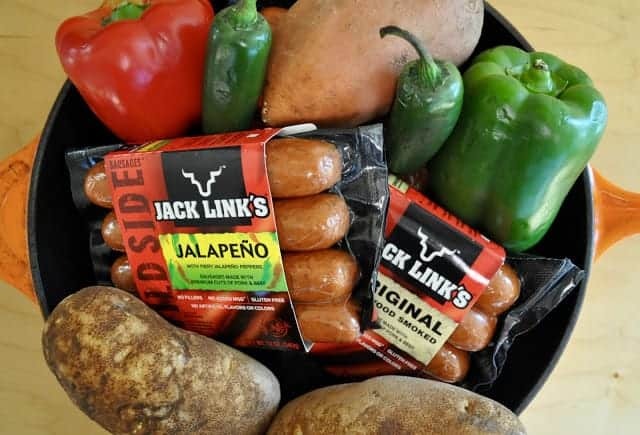 Then I remembered kids and their not so excited take on hot foods, so I decided to make them the Jack Link’s Wild Side Beef Sausages while we enjoyed the Jalapeño variety, two sausages in one meal means everyone is happy. I also realized I needed to tone down the jalapeño IN the dish as well, to just green and red sweet peppers but if you don’t have kids or your kids can handle the spice well then by all means dice up a jalapeño or two and toss them in with the sweet bell pepper for a bit a spicy heat. 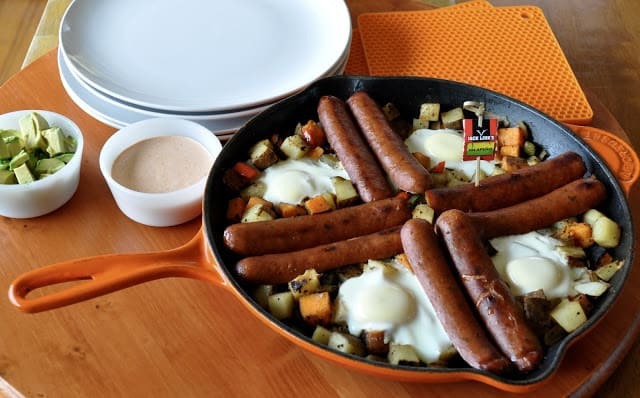 One of the things I love about a good skillet meal is how quick and easy they come together, this particular meal takes 25 minutes start to finish, so you can be eating a hot filling meal in no time flat. You will need a 12 inch skillet with a lid or a cover of some sort. And if you think of it make the Creamy Chipotle Sauce earlier in the day so it has time to come together in flavor, it’s still good if you make right before serving it, it does get better in flavor if it sits a while. 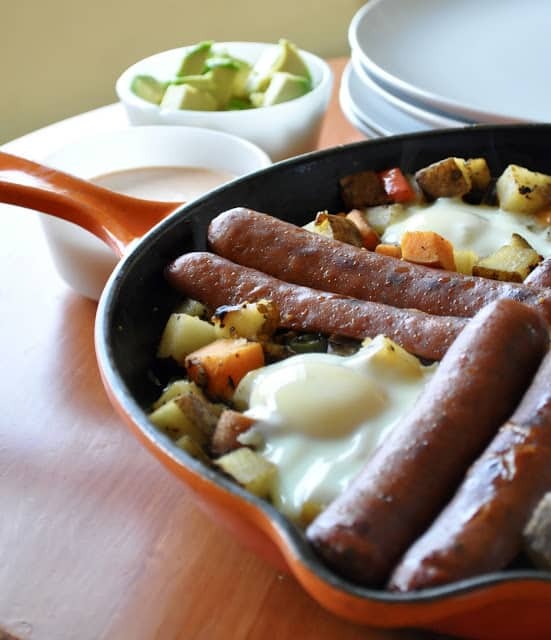 So what about you, are you a breakfast for dinner kind of person? or are you more of a breakfast is breakfast kind of person?? I’m an all in breakfast ANYTIME of day person, while my husband is more of a breakfast is breakfast kind of guy. 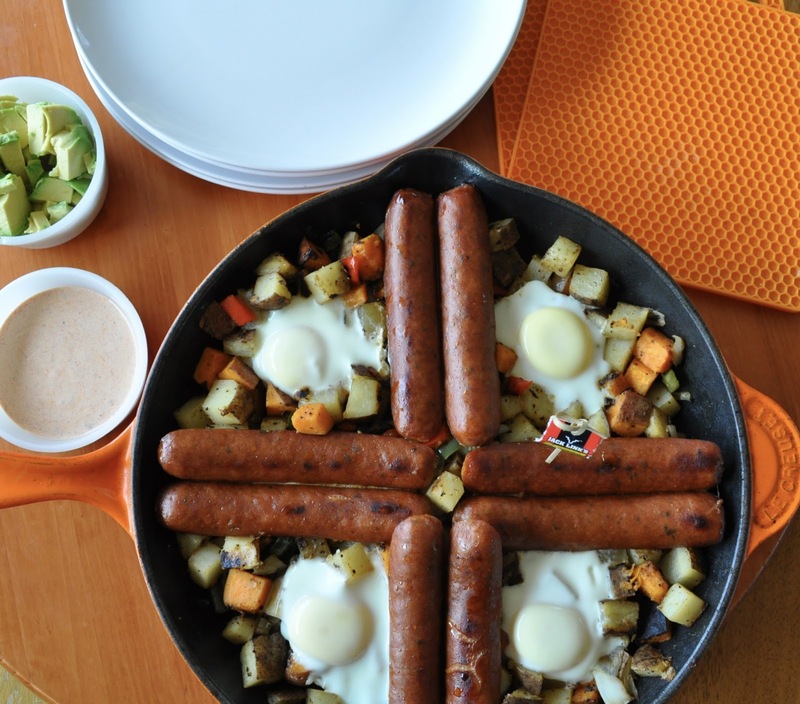 Uh, yeah, we're big Brinner fans in this house. And we'd be all over that (well, not my child, because eww, veggies).